Ammo and Gun Collector: What is this gun? It's a fantasy weapon! It used in the japanese movie Zeiram (1991, Keita Amemiya) and in the OAV series I.R.I.A - Zeiram the Animation (1994, Tetsuro Amino). 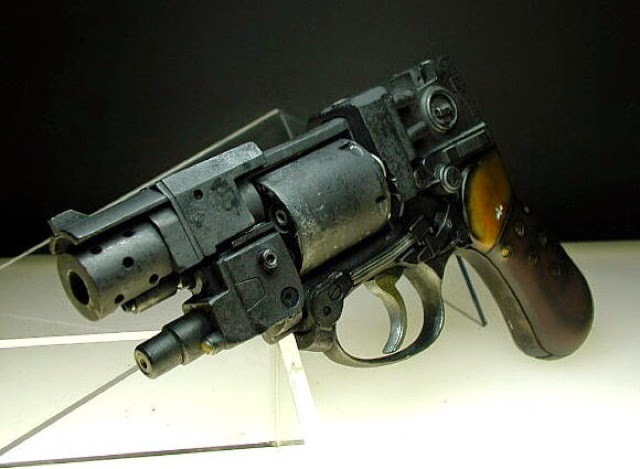 The handgun is a cocktail of various elements like bergman bayard 1910, roth 1908, rast und gasser 1898. PS. sorry for my bad english I'm a foreign.